The 70s weren't just about disco and roller derby...there was also the boom of the recreational vehicle lifestyle. 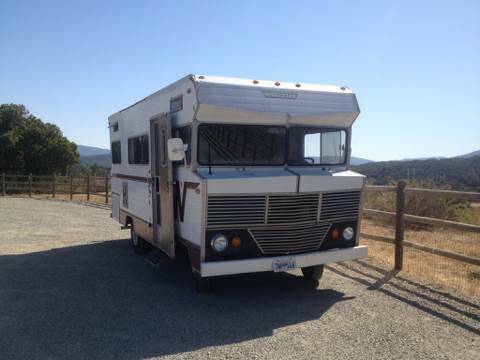 If you want to hit the high road in the RV’ing lifestyle, but don’t have the 100s of thousands of dollars to get a new one, you gotta check out this 1972 Winnebago Brave for sale in either Ojai, Ventura or Santa Barbara, CA for only $3750. This post is part of DT's 2016 Birthday Celebration of 100 cars; enjoy the ride! The owner provides several pics of the outside which show a very presentable classic creepy Winnebago motorhome that many children's nightmares are made of. 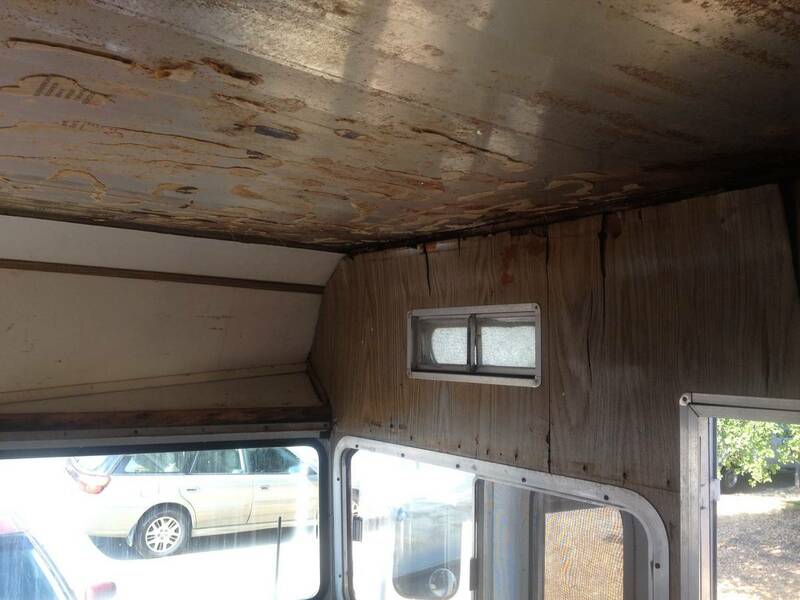 Later in the ad, the owner claims there were some roof leaks that have been rectified. The owner provides no mention of what make engine is in it, but I think they used Chrysler 440s. He (or she) describes plenty of work that has gone into it to get it driveable. There are plenty of shots of the interior showing green tinged plywood, and avocado green countertops. Some details look presentable, but up near the driver’s area show some peeled off paneling that was probably removed to address the leaking. 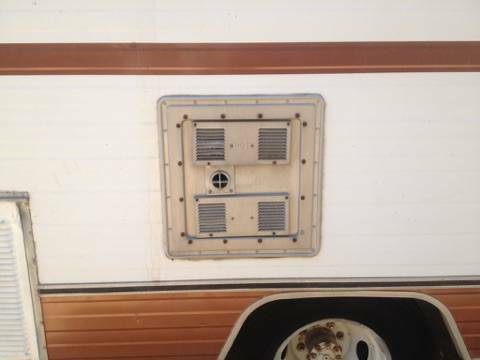 I went into a motorhome at a Volunteers of America Auction house in Pontiac, Michigan several years ago, and the odor is something that still sometimes haunts me from time to time as I am dozing off to sleep. Imagine all the things that have been done, the fluids and solids that have been spilled in this thing in the past 44 years….ewwww. 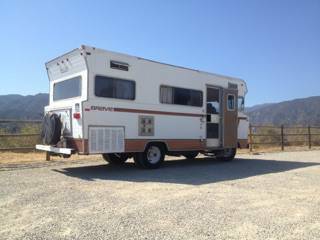 Old motorhomes, in my mind, are hopeless projects that only serve to keep a spot in your driveway warm. It would be cool to drive an old motorhome like this, instead of something new. I think if one were to try to undertake a job like this you would have to be very realistic about a minimal amount of things that you would want to correct. And NEVER under any circumstances would you be allowed to turn it into a non-runner, because you would never be able to unload it to the next chump. Reminds me of the infamous Winnebago Man. Never gets old. Awesome, thanks I momentarily forgot about the Winnebago Man who looked badly hungover in the humid heat battling flies in his shot...Don't slam the door! Ah, back before the van-chassis motorhomes took over this size segment. Yes, definitely a piece of history. Now, personally, what I'm waiting for is for all the outfits that sail the Google/Yahoo/Genentech/Facebook/etc. slave ships up and down the Peninsula around here to start unloading their first batch of Prevost H3-45s. Those will make for a magnificent motorhome conversion and, while they're serious high-end hardware, there's SO MANY of them that I can't imagine the price holding up too well. Oh, and when you find a whole herd of Winnebagos, let me know. I understand they're giving 'em away. Hey, if you're going to talk about RVs, why not the Vixen? Yeah, but much later than this year, sold in tiny numbers, appeals to...you and me and three other people. The GMC motorhome has a similar following, despite the underspecced Toronado driveline. Me, I'll take a mid '60s Travco. Or, like I said, a four-year-old Prevost where I can sleep in a space formerly occupied by the next vulture-cap-funded zillionaire. Agree. But DT is all about digging up those rare/wacky models of cool things!